On my dear departed MobileMe blog, I had an occasional series titled “The Writer on the Road,” which featured reports of my various speaking engagements in high schools, colleges, public libraries, and community centers following the publication of Gringolandia. 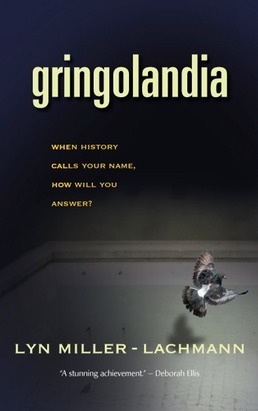 As the release date of Gringolandia moved farther back in history and I returned to school for my MFA, those speaking opportunities became less and less frequent. I truly missed them, however, because I never tire of talking about my first traditionally published YA novel, its long journey, and the events that inspired the writing of Gringolandia. Despite my long publication “drought,” I continued to appear each year at the Albany Academy Children’s Book Festival (which is on Saturday, April 27 this year), and last year I met Judy Karmiohl, who teaches children’s literature at Schenectady County Community College. 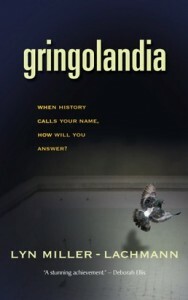 She bought a copy of Gringolandia and decided to use it as one of the required readings in her class as an example of YA historical fiction. And today, I came to her class to speak to her students. 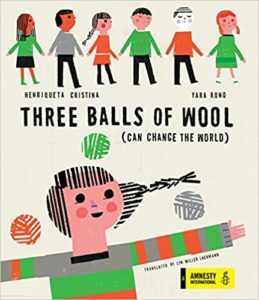 Experts in kidlit may question her selection of a relatively obscure, small press published YA novel despite its favorable reviews and awards. After all, there’s The Hunger Games! Revolution! Looking for Alaska! Going Bovine! Speak! And dozens more acclaimed and popular YA titles published in the past four years. Judy told me, however, that the students appreciated reading a YA novel that was so different from the ones they read in high school, one that didn’t follow the formulas and that took them outside of worlds already familiar. As part of their final projects, the students are supposed to write the text and illustrator notes for a picture book. In the first third of my presentation, I paralleled my writing career to the plot of a novel: the character wants something; the character acts to get what he or she wants and encounters obstacles along the way; each scene represents an attempt to obtain the desired thing and leaves the character either closer to the goal or further away; the stakes increase until the climax, when the character does get what he or she wants, or does not get the desired thing but is forever changed as a result. I chronicled my own ups and downs and compared the stakes when I first began writing seriously and was forced to leave a graduate school program in American Studies in large part because I spent too much time on my non-academic writing, and later when I lost a contract for an earlier version of Gringolandia, which led to my quitting for ten years and losing the friendships of the Chileans who helped me research the novel and who trusted me with their stories. In describing how I put the death of a 19-year-old Chilean-American boy, Rodrigo Rojas DeNegri, in a 1986 demonstration at the heart of my main character’s story, I talked with them about the risks that young people take, and how historical fiction works best when it builds on universal emotions. We discussed risks, failure, and not giving up on dreams even when attaining those dreams seems impossible. Just as Daniel realized that he’d have to give up what he most wanted to possibly save his father’s life, giving up a dream may mean pursuing that dream in a different form, or taking a different route to get there. I thank Judy for taking a big chance on me and my novel, and I thank her students for their open minds and open hearts.